So after giving it some more thought and looking at lots and lots of pictures of master bathrooms, I decided that I needed to make some changes to our selections. I know, kind of crazy - but since Ryan Homes allows us to make changes to interior selections until the end of the month I might as well make sure I'm happy before I make a final decision. 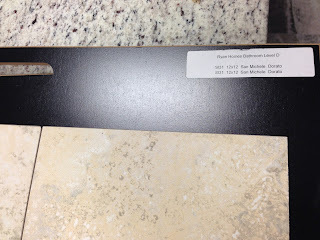 But with Ryan Homes you can not just show up to the flooring center on a weekend and revise your choices. You must make a new inconvenient week day appointment. 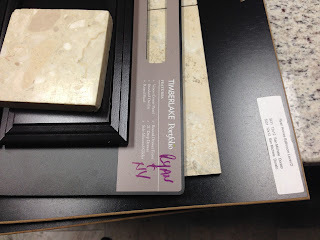 So I had my appointment at M&R Flooring on Friday at 9:00 a.m. I was the only one in the showroom in the morning so I could really concentrate and pull together different combinations. I ended up upgrading the tile in our master bathroom to a nice stone without a border. This took us from Level C to Level D. I just don't like the border pieces and I know a cleaner look will look more classic and make me happier. To make sure costs stayed around the same, I downgraded my sons' bathroom from level C to level B. 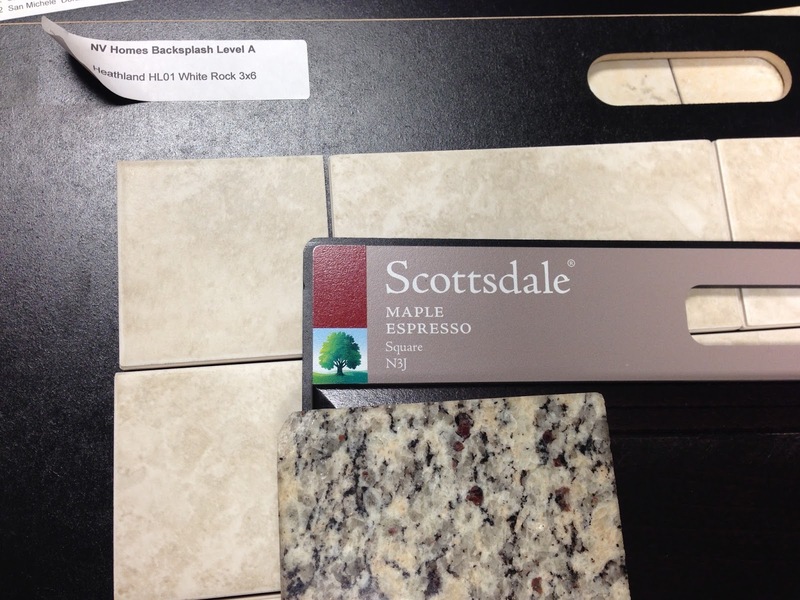 So they will have white 6x6 tile on the wall around the bathtub and a 6x12 stone floor on the floor. I actually like this better because the white tile will match the white standard bathtub and look more natural. I also saved $600 doing this. 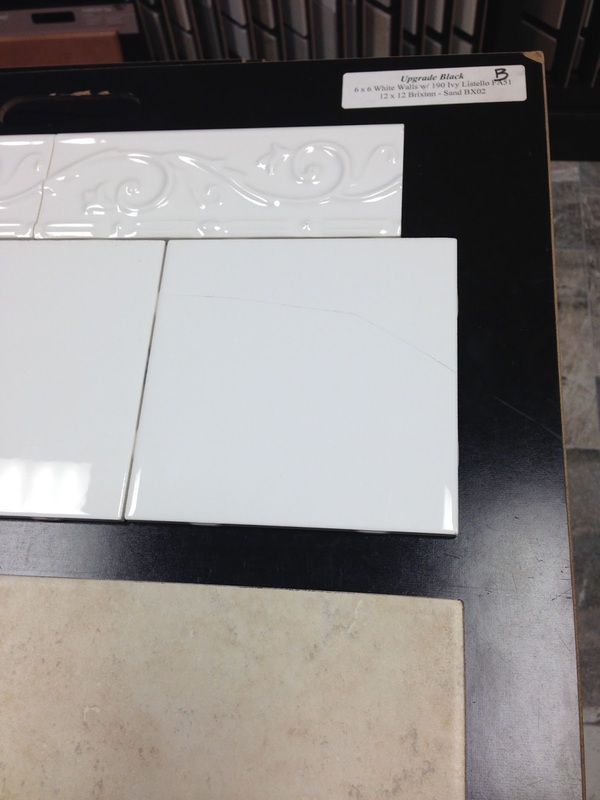 We are also getting a special order to tile the shower floor. My husband really hates the standard fiberglass shower floor so I'm excited about being able to do a mosaic tile in the shower. 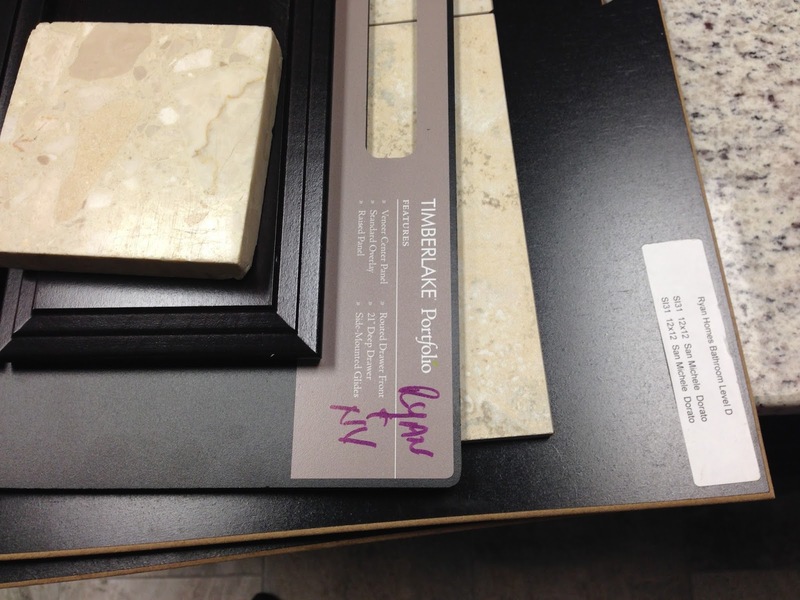 Finally I picked out a kitchen backsplash. I am doing a simple bone colored stone in subway tile size. I love the way it looks but it costs $1800 so I will see if I need to remove it to save costs before it is all said and done. But at this point I am happy with our selections.